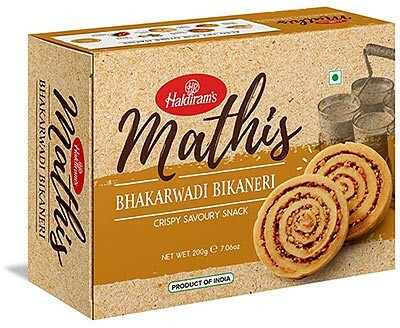 Crispy, savory and spicy wheat rolls filled with spices like black pepper, nutmeg, coriander, sesame seeds and more. 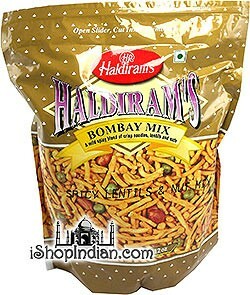 INGREDIENTS: refined wheat flour(63%), refined corn oil, vegetable oil (containing one or more of following; sesame oil, soyabean oil, palm oil,corn oil), sesame seed, red chilli powder, dry mango powder, salt and black salt and mix spices (big cardmom powder, clove powder, cinnamon powder, black pepper powder). 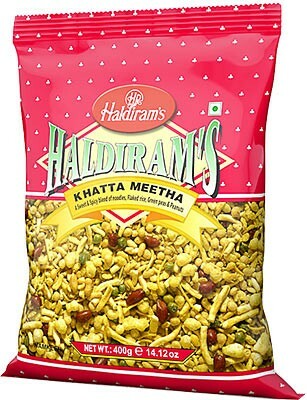 Contains Wheat, sesame and soy components. 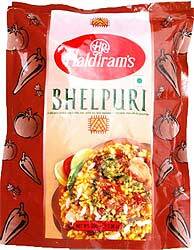 Bhel Puri is an extremely popular snack all over India. 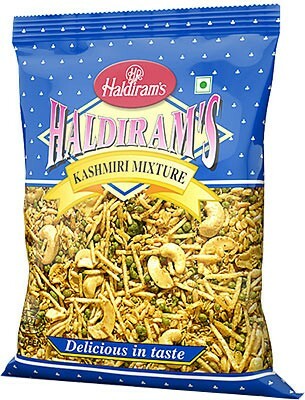 This dry snack base is made with a blend of puffed rice, crisp noodles, dry nuts and potato strings. 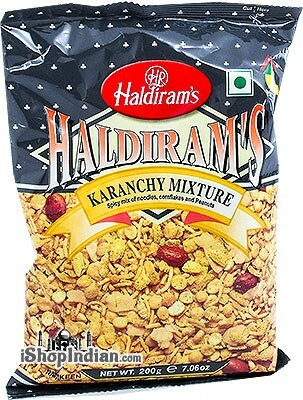 This snack mix is slightly spiced with salt, red chili powder, tomato powder, mango powder, tamarind powder and other spices. 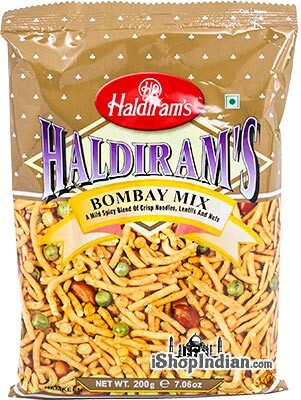 This dry snack mix is usually mixed with boiled potato cubes, chopped onions and mixed with Coriander and Date Chutneys. 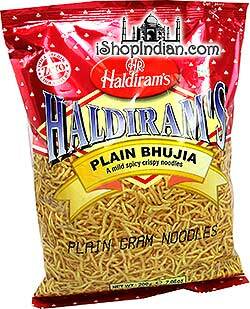 From world-renown snack maker Haldiram's comes a mildly spicy bhujia snack. Bhujia are thin, noodle like strings made of bean flour and gram flour, spiced to perfection with spices like black pepper, mango powder and chili powder. 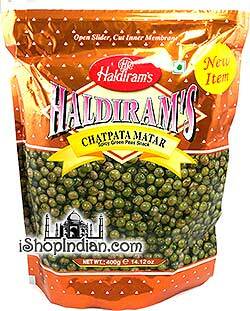 Enjoy straight from the bag or topped on your favorite dishes for added crunch and flavor. 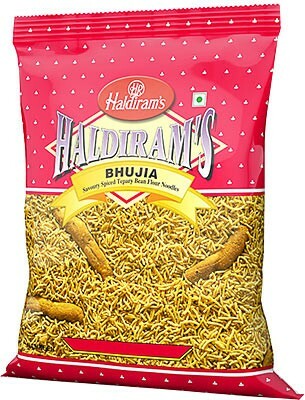 Haldiram's Bhujia is one the most popular Haldiram's snacks. 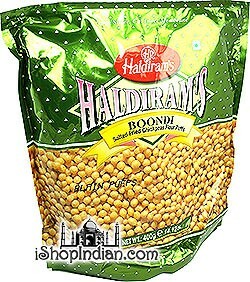 It is made from savory bean flour (tepary beans/moth bean) and chickpea flours. 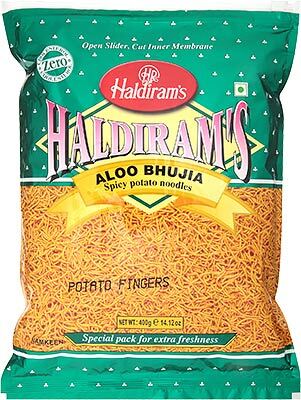 It is then spiced to perfection with salt, chili powder, black pepper powder, ginger powder, clove powder, mace powder, nutmeg powder and cardamom powder. 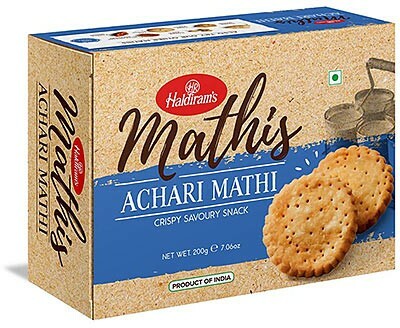 A snack made from the paste of moth (a nutty tasting lentil) flour, gram flour and spices. 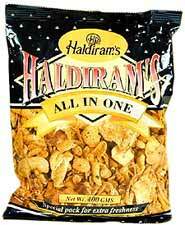 The perfect snack food. 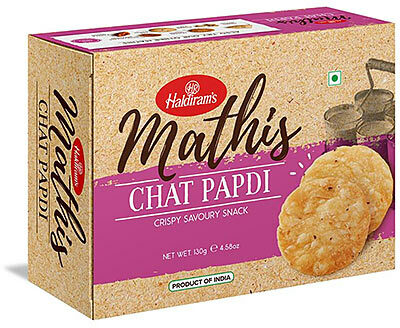 Ingredients: Tepary beans flour (43%), Vegetable oil (peanut & corn), Gram pules flour (12%), Salt, Black pepper powder, Ginger powder, Mace powder, Nutmeg powder and cardamom powder, Contains peanut. 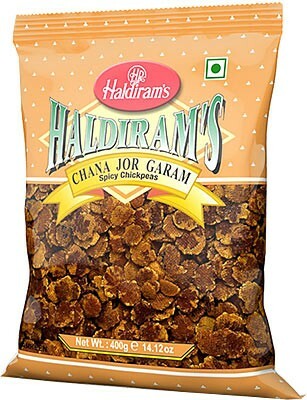 A crispy and salted wheat flour chip perfect with tea and coffee. 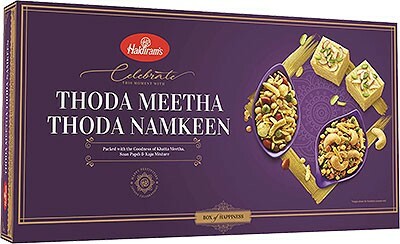 Ingredients: Wheat Flour, Edible Vegetable Oil, Sesame Seeds, Red Chilly Powder, Edible Common Salt Powder, Cumin, Bishop's Weed, Turmeric Powder & Asafoetida Powder. 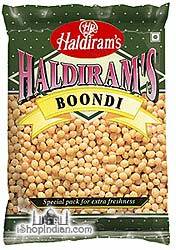 A traditional snack made by oiling and smashing whole chick peas. 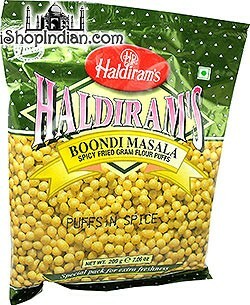 They are then fried in peanut oil spiced with black pepper, cinnamon and clove. 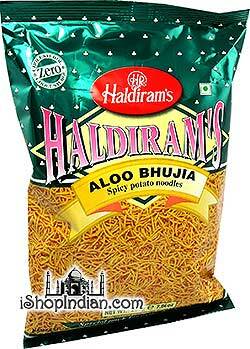 For best taste: heat for 60 seconds in the microwave, or 5 minutes in the oven. 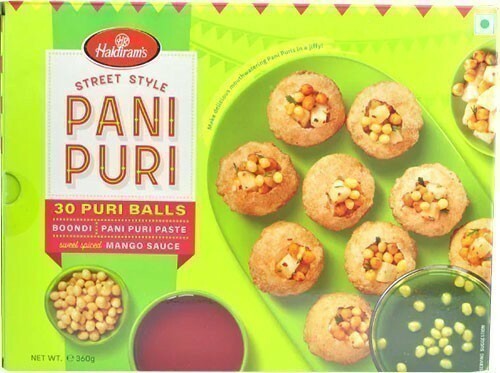 Try with diced onions, fresh coriander leaves and a teaspoon of lemon juice. 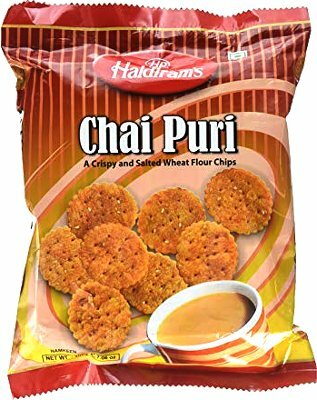 Crispy and flaky wheat flour chips. 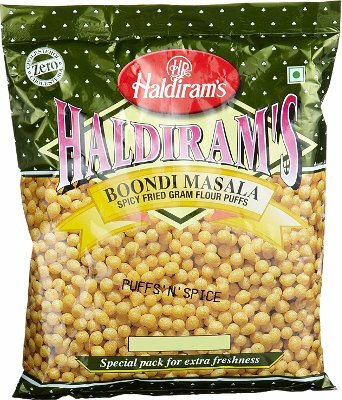 Popular in the street food dish "Bhel,"
INGREDIENTS: Refined wheat flour(63%),refined corn oil, vegetable oil (containing one or more of following;Sesame oil, soyabean oil, palm oil, corn oil, wheat flour)salt and whole cumin.